Target will have a new 50% off Cartwheel offer everyday through the end of the holiday season. 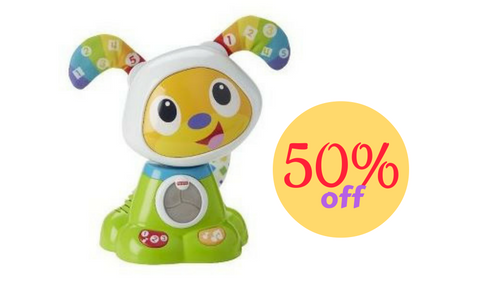 Today’s offer is 50% off Fisher-Price Dance & Move BeatBowWow. These offers are sure to help you save on any of your holiday gift shopping.